The nation’s top selling nut butter – peanut butter – is not actually made from nuts (peanuts are legumes), so if you think about it, a spread made from chickpeas (also legumes) is a logical extension for a category that now includes everything from cashew butter to pumpkin seed butter, says The Amazing Chickpea owner & creator, Sunil Kumar. 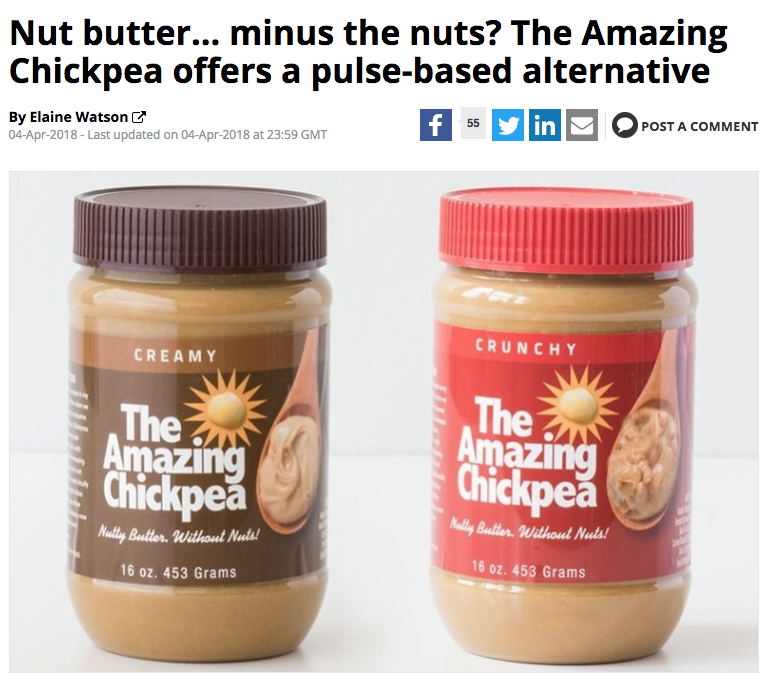 Sunil talked with Food Navigator-USA’s Elaine Watson on why chickpeas, the surprising market that typically buys our spreads, and how they compare to a traditional peanut butter. Check out the full article here!